Back to school is an especially exciting time for pen, pencil and paper geeks. All of those fresh school supplies in your backpack and new writing instruments in your pencil case are almost reason enough to go back to school! 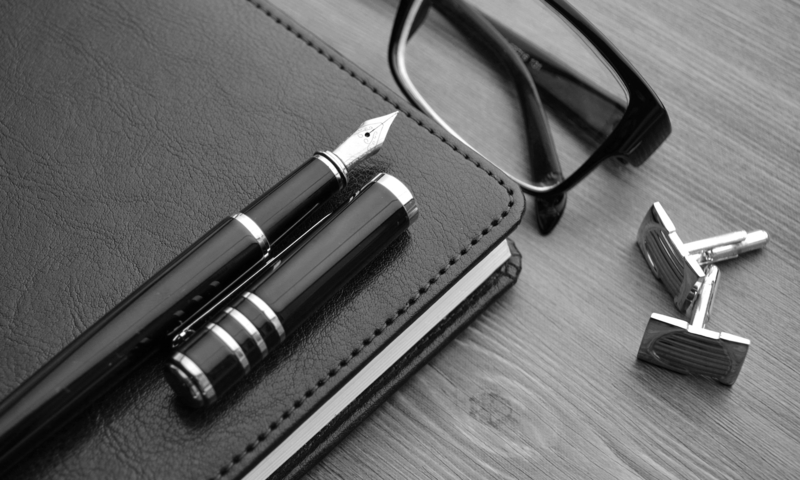 Here at Writer’s Bloc we are especially fond of these things and have a few suggestions for your back to school arsenal. 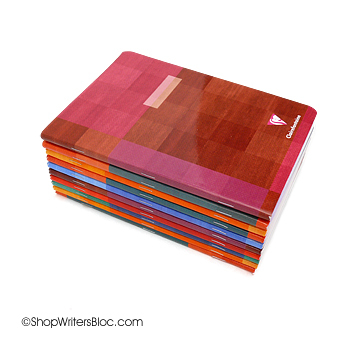 Need a lot of new notebooks? 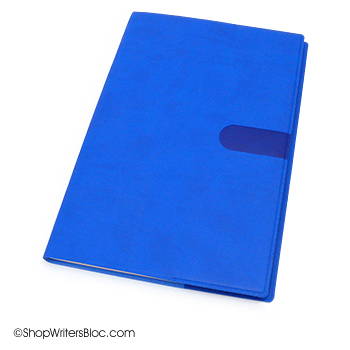 Check out our quantity discounts to see if there are any of your favorite Clairefontaine or Rhodia notebooks such as this set of 10 medium size lined Clairefontaine side-staple notebooks. Don’t see the notebook you’re looking for? Email us and we’ll give you a quantity discount quote. We’ve carefully planned our quantity discounts to give you the best value on both shipping and notebook price. Keep yourself organized with an academic planner that is specially designed to keep track of your schedule throughout the school year. The Quo Vadis Academic Minister includes 13 months of plans that run from July of one year through July of the following year. Its 8 am to 9 pm weekly schedule spread over two pages gives lots of room for tracking a detailed action-packed schedule. For something quite similar, only pocket-size, take a look at the Quo Vadis University Pocket Planner. 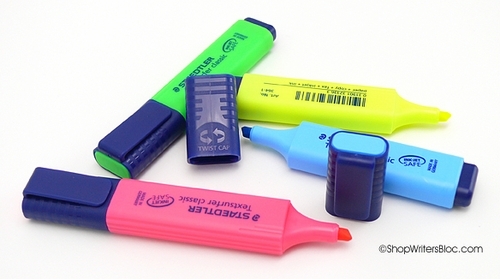 No school year would be complete without lots of highlighters for studying. The Staedtler Textsurfer Classic Highlighter is one of my favorites since it stands up to heavy use, can be used with inkjet printouts and can be re-inked with the Textsurfer Classic refill station. 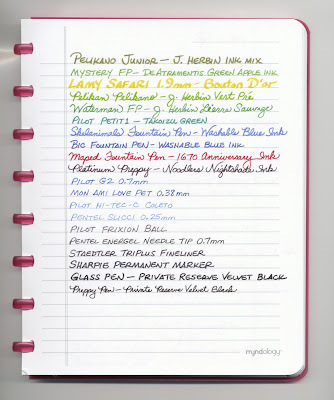 For something completely different try a Staedtler Textsurfer Gel highlighter. 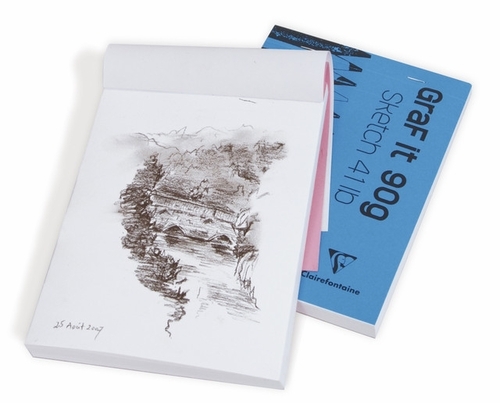 It has a soft wax lead that glides over paper effortlessly and will never bleed through, even on the thinnest paper. 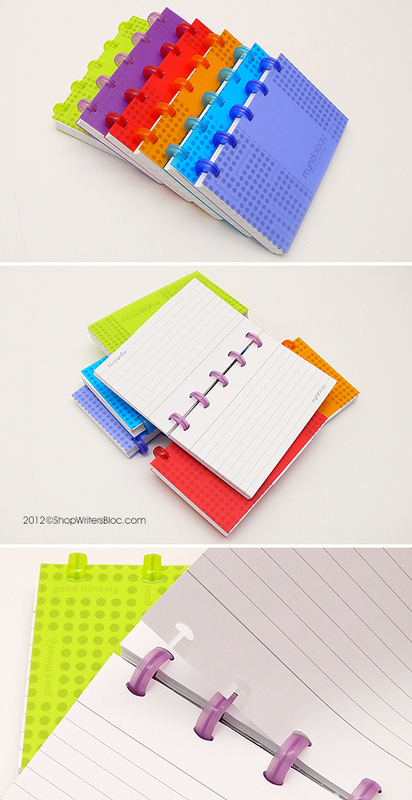 Corral your pens, pencils and highlighters with a flat-bottom pencil case that will sit upright on your desk. 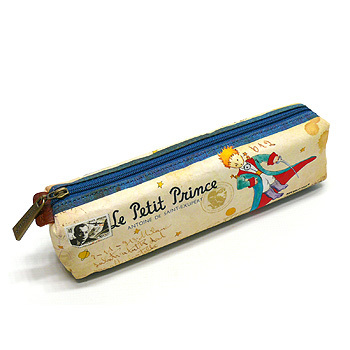 7321 Story’s fabric Le Petit Prince Pencil Case is decorated with whimsical illustrations from the storybook by Antoine de Saint Exupery. If soft sheepskin leather is more your style the Clairefontaine Basics Square pencil case holds a good quantity of your favorite writing instruments. Index cards are a useful tool for studying, collecting quotations, making flash cards and more. 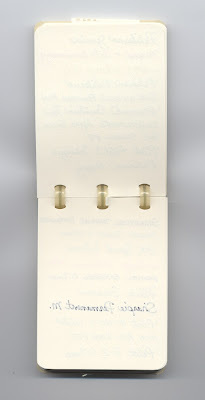 Keep your index cards in order and re-order them anytime you like with Myndology’s disc bound index cards. 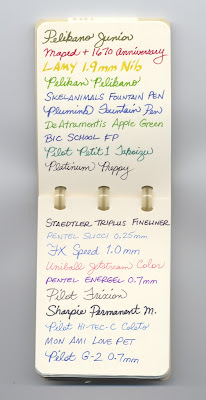 Exacompta index cards have grid lines so they can be used in whatever direction you want to turn them, can be color coded since they come in a pack with a variety of colors and as a bonus work well with fountain pens. Myndology and Exacompta index cards are lined on both sides to make the most of each card. Need to erase mistakes? Planning on taking a drawing and sketching class? 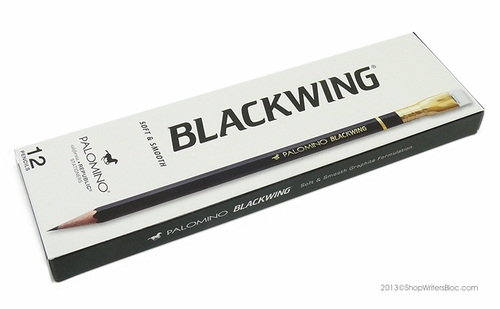 Palomino Blackwing Pencils constantly get rave reviews from artists who prefer a soft, dark line! They are also available with a firmer lead for both writing and drawing as the Blackwing 602 pencil. Pair these pencils with a Clairefontaine Graf it sketch pad and you’ll be all set for class. 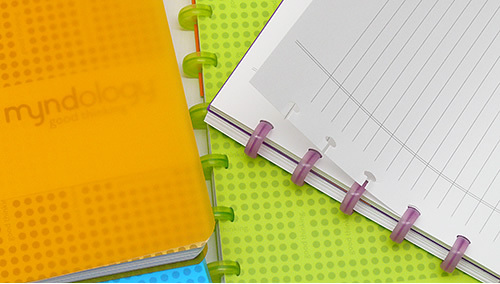 These are some of our favorite paper and writing related tools for back to school 2013. What are some of your favorites? 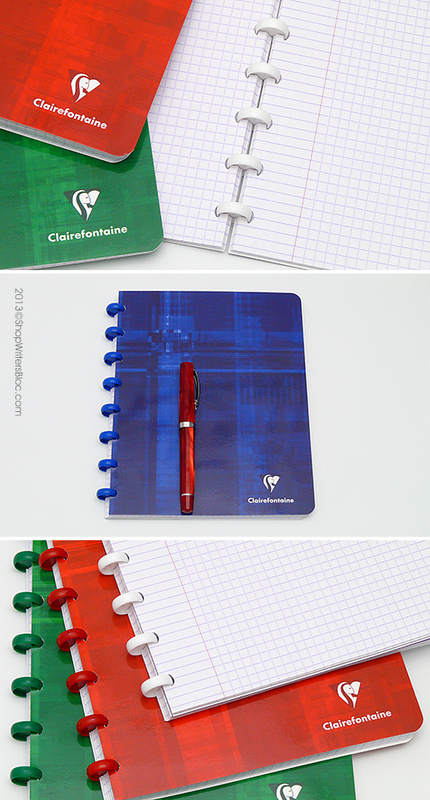 We’re big fans of disc bound notebooks and the flexibility that they allow, so we made a special effort to import from France some notebooks from the Clairefontaine Clairing collection. 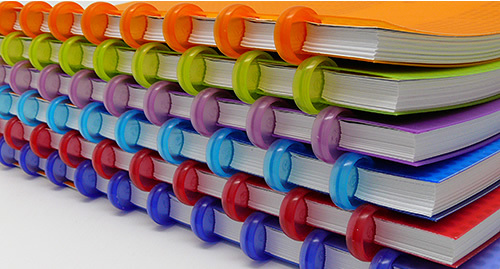 If you’ve never used disc bound notebooks, what makes them so special is the ability to easily add or remove pages and creatively re-order and organize your notebook pages whenever and however you want. 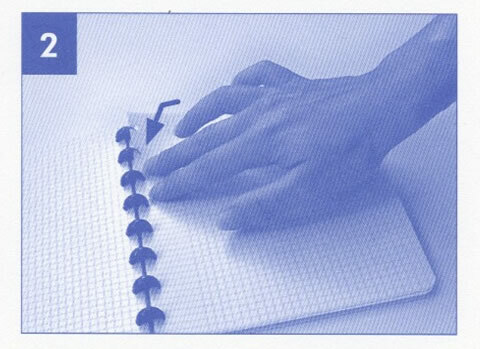 All of the Clairefontaine Clairing notebooks that we have on hand at the moment are A4 size, and each one has a different type of rule – graph, graph with margin, lined with margin and French ruled. 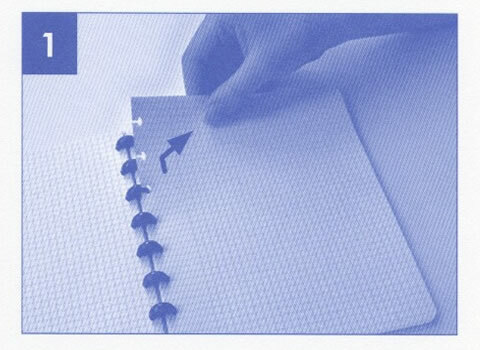 I think it would be fun to get a few Clairing notebooks with different kinds of rules and create my own custom notebook such as one with alternating graph and ruled pages, or even a notebook that has one section of graph paper, another section of French ruled paper and a third section of lined paper. I’d probably share one of these custom notebooks with a friend that has never used French ruled paper or experienced the smoothness of Clairefontaine paper. 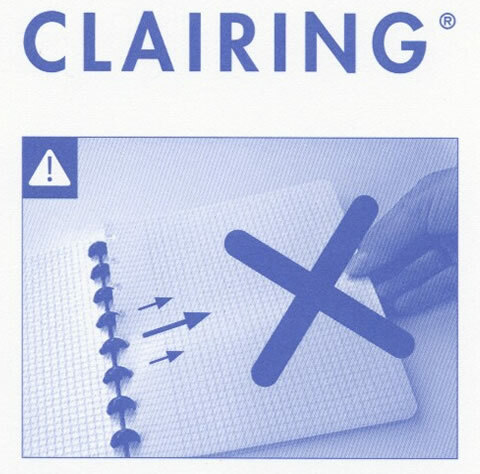 Instructions come with each Clairing notebook showing the best way to insert and remove the pages. 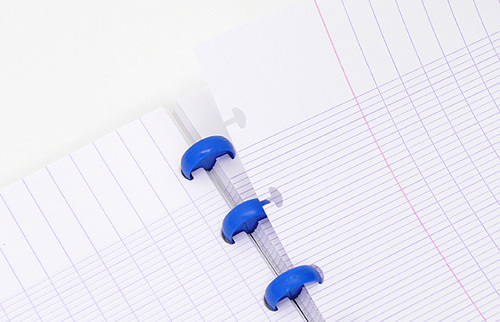 The copy below shows the wrong way to do it – taking the paper off the rings by pulling it sideways out of the notebook. This can cause the punches that hold the paper onto the rings to tear. 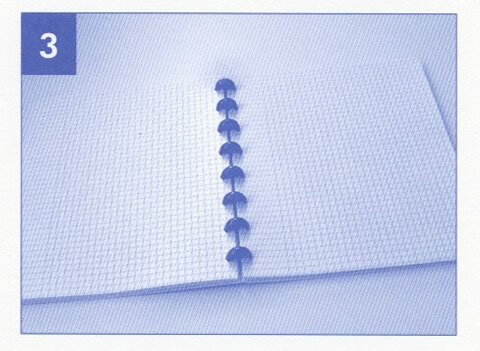 The next photo shows the best way to remove pages – by pulling them up and towards you, you can remove pages gently without tearing the punched side of the page. 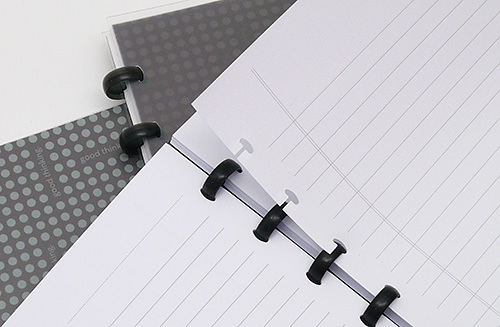 To put a page back into the notebook just reverse what you did to pull them out – starting with either the top or bottom of the page gently push each punch back onto the plastic rings. Ta-dah! 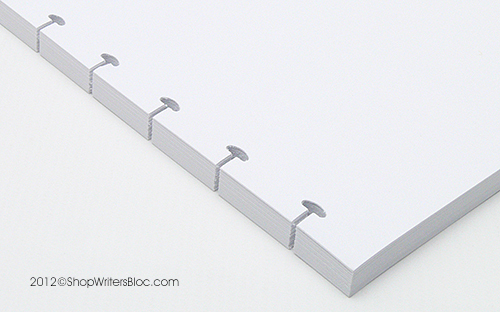 Your notebook has been refreshed and reorganized. 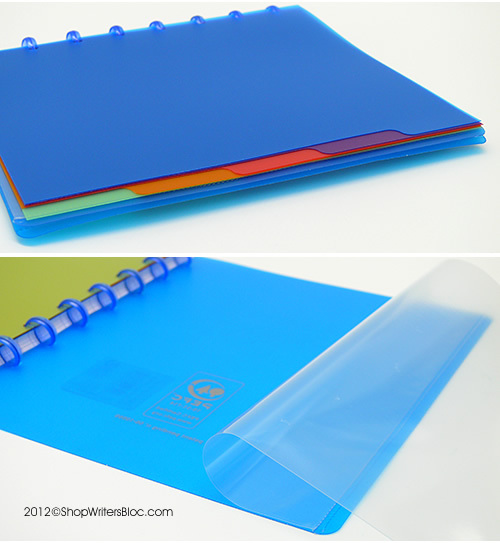 We’re expecting to have an expanded selection of Clairing notebooks in our store sometime in May. 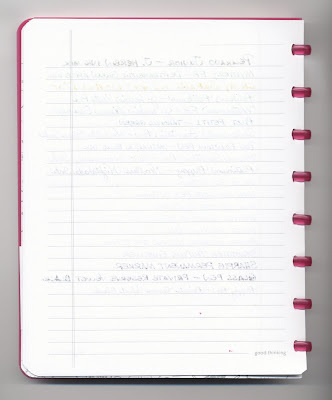 Do you use disc bound notebooks? Why do you like them? 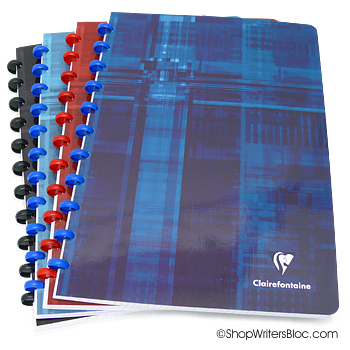 Are there any other Clairefontaine Clairing notebooks you’d like to see available in our store? Please feel free to share your thoughts and requests!